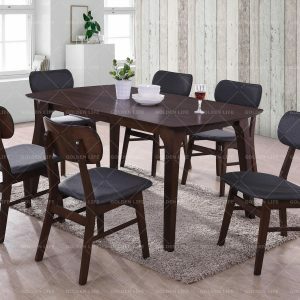 MODEL: GLU-DS 01 TABLE SIZE:L1200XW750XT18MM REVERSE PROFILE TABLE LEG:35X70MM APRON : 65MM SEATER : WOODEN SET COLOR:CAPPUCINO + WHITE *** CUSTOMIZE SIZE ARE WELCOME *** FOB: PASIR GUDANG / TANJUNG PELEPAS, MALAYSIA. 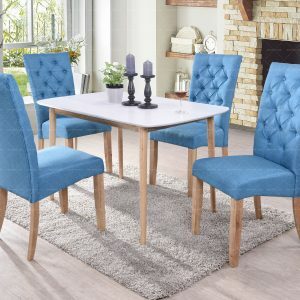 MODEL: GLU DS 06 TABLE SIZE :L120 X W 750 X T 18M APRON: 55 MM(SOLID) TABLE LEG: ROUND SOLID LEG COLOR:WHITE+NATURAL UPHOLSTERY:FG11808-18(TIFFANY BLUE) *** CUSTOMIZE SIZE ARE WELCOME *** FOB: PASIR GUDANG / TANJUNG PELEPAS, MALAYSIA. 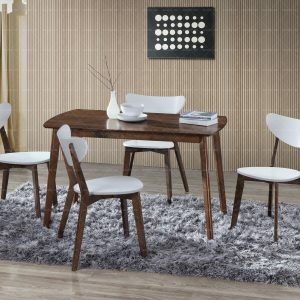 MODEL: GLU DS 09 TABLE SIZE :L1500 X W 900 X H 750H COLOR:WHITE WASH CHAIR SIZE : L430 X W840 X H570MM X SH440MM BACK AND SEATER CUSHION APRON: 60 MM COLOR:GREY *** CUSTOMIZE SIZE ARE WELCOME *** FOB: PASIR GUDANG / TANJUNG PELEPAS, MALAYSIA. 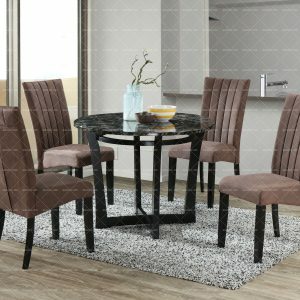 MODEL: GLU DS 10 TABLE SIZE :L1500 X W 900 X H750 CHAIR SIZE : L450 X W520 X H810MM X SH440MM BACK AND SEATER CUSHION FABRIC:GREY APRON: 65 MM(SOLID) COLOR: MOBILA BROWN *** CUSTOMIZE SIZE ARE WELCOME *** FOB: PASIR GUDANG / TANJUNG PELEPAS, MALAYSIA. 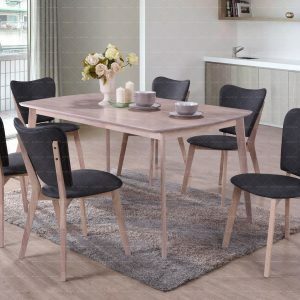 MODEL: GLU DS 11 TABLE SIZE :L1500 X W900 X H750 APRON: 65 MM COLOR:WALNUT CHAIR SIZE : L450 X W520 X H180MM X SH440MM SEATER CUSHION COLOR : GREY *** CUSTOMIZE SIZE ARE WELCOME *** FOB: PASIR GUDANG / TANJUNG PELEPAS, MALAYSIA. 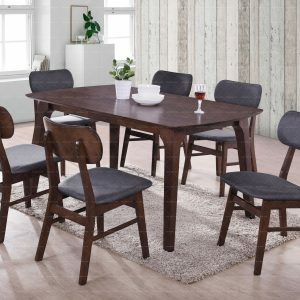 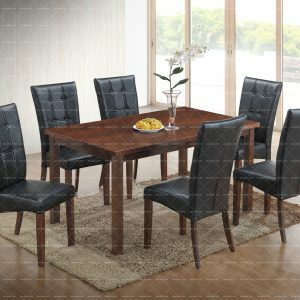 MODEL : GLU DS 13 TABLE TOP : MDF VENNER WITH 33MM APRON : 80MM LEG : SHAKER LEG CHAIR SIZE : L455 X W 410 X H1000MM X SH 475MM UPHOLSTERY : PVC BLACK COLOR : WALNUT PACKING : 2 PCS / CTN CBM : 0.4895 m3 FOB: PASIR GUDANG / TANJUNG PELEPAS, MALAYSIA. 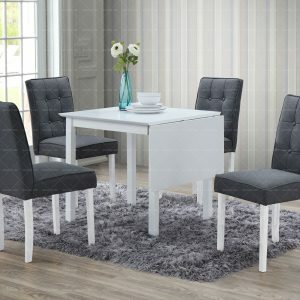 MODEL:GLU-DS 02 TABLE SIZE:(L750+L400MM)XW750XT180M STRAIGHT PROFILE TABLE LEG: 45MM(SQUARE LEG) APRON: 68MM UPHOLSTERY: FG11808-22(FABRIC GREY) COLOR:WHITE COLOR *** CUSTOMIZE SIZE ARE WELCOME *** FOB: PASIR GUDANG / TANJUNG PELEPAS, MALAYSIA.